A victim's guide to restorative justice from Restorative Justice Council on Vimeo. All of our staff and volunteer facilitators are trained in Trauma-Informed Care and creating safer spaces as well as a host of other professional development trainings including victimology, mental health, addictions and more. Our core services involve a court diversion program on referrals from the OPP, the Town of Smiths Falls Police and from the Crown Attorney’s office for both youth and adult offenders. The Ministry of the Attorney General assists with some funding for offenders aged 12 to 17 years of age. LCCJ has been providing court diversion services for 18 years years in Lanark County and the Town of Smiths Falls. Our office is located in Perth, ON. We have 48 fully-trained volunteers who conduct the community justice forum process for youth and adults. Our recidivism rate is less than 5% compared to the recidivism rate for similar cases through the criminal system of about 30%. 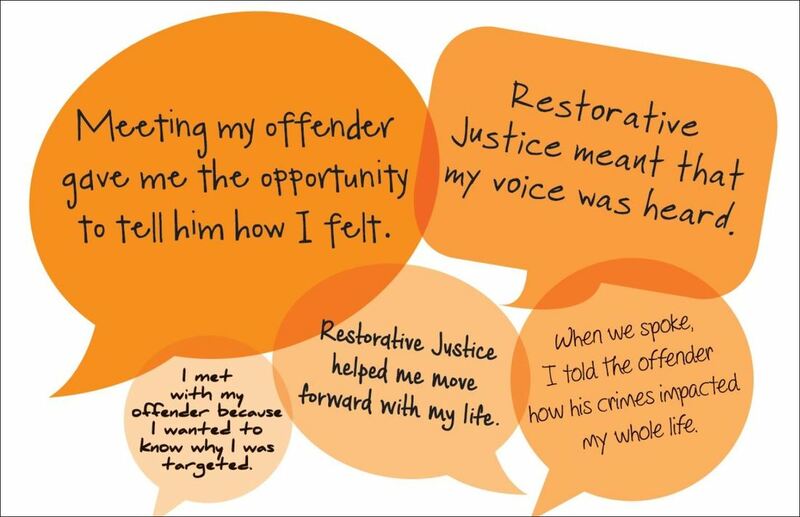 We have seen, over and over again, the incredible power our restorative justice forums have in changing people's lives for the better. This process quite literally changes lives. For more information about the court diversion program, contact our Community Justice Program Coordinator, Sheri Halladay at sheri@commjustice.org.